When there’s nothing more precious than a good hair day, it’s got to be the limited edition ghd jewel collection. The super-powerful ghd air™ hairdryer has been given a jewel makeover with a high-shine metallic trim in amethst. Featuring a powerful professional motor for a faster blow-dry, the ghd air™ also uses advanced ionic technology to help lock in moisture for softer, shinier results that last longer with far less frizzing. 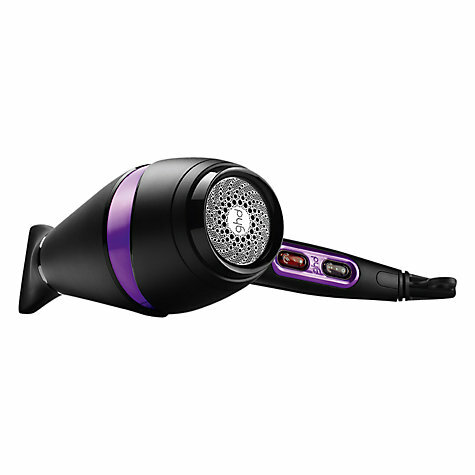 Variable power and temperature controls, plus the choice of two nozzles, allow you to tailor your blow-dry to your hair type, while a cool shot button helps you set your style in place with a blast of cold air. The ghd air™ is also a breeze to use thanks to an ergonomic design that makes it comfortable to hold for both left and right-handed users, and a 3m long power cable that gives total flexibility as you dry.